Samarium cobalt magnets (SmCo) are composed of samarium, cobalt and iron. 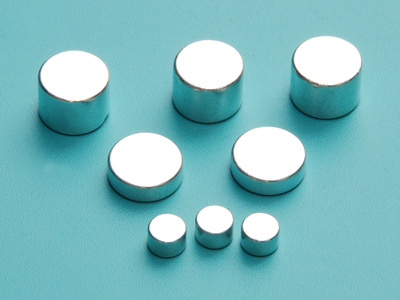 These rare earth magnets are extremely strong for their small size, metallic in appearance and found in simple shapes such as rings, blocks and discs. Samarium cobalt(Smco) magnet has a strong resistance to corrosion and oxidation resistance, usually do not need to be coated can be widely used in high temperature and poor working conditions. Sintered SmCo permanent magnetic materials have the character of great brittleness and lacking of the ductibility, therefore, it isn't suitable for the material to be applied as structural parts when designed. The physical characteristics of SmCo5 is better than Sm2Co17's. Because SmCo5 is slightly easier to be machined while Sm2Co17 is more brittle. Magnetized SmCo products must be picked up carefully and gently during assemble process and kept away from ironware to avoid mutually attracting, causing chips and cracks or other damage to magnets' appearance, or it'll even hurt operators in case that two strongly magnetized slices firmly attract unexpectedly. There may be some appearance defects such as slight nicks existing as it may bring some slight collision during the process of production, packing and delivering of sintered SmCo permanent magnetic materials. However, it wouldn't changes its property, stability as well as antidemagnetization ability of materials as long as its flow doesn't affect normal assembling or functions. Clients who request SmCo products non-magnetized must be familiar with magnetization energy of their own magnetization equipments, to the effect that appropriate grade would be chose and products of our company can be fully saturated. If the designed products are to be applied under sour alkali or worse conditions, our company may provide SmCo permanent magnetic products plated with Zinc, Nickel, gold or epoxy resion.